Five-city tour begins in Washington, D.C. making stops in: East Rutherford, NJ; Los Angeles, CA; San Francisco, CA; and New York City. Participants will experience a full lineup of BMW vehicles ranging from electric and plug-in hybrid electric models to BMW M models. Additional event highlights include an autocross course, Teen Driving School program and BMW M Car Control Clinic. 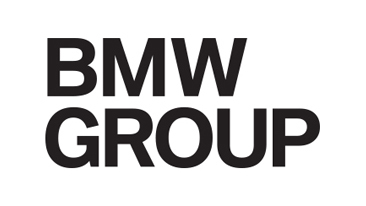 Woodcliff Lake, NJ – April 16, 2018… BMW is back with the Ultimate Driving Experience, a five-city nationwide driving program that will provide consumers with the opportunity to get behind the wheel and experience a full lineup of BMW vehicles firsthand. Additional highlights of the event include an exciting autocross driving course, a BMW Teen Driving School course based on the program taught at the BMW Performance Centers in Spartanburg, SC, and Thermal, CA and a BMW M Car Control Clinic. Autocross: An exciting, closed-course driving program featuring the all-new BMW X2 Sports Activity Vehicle and the plug-in hybrid electric BMW 530e i Performance. 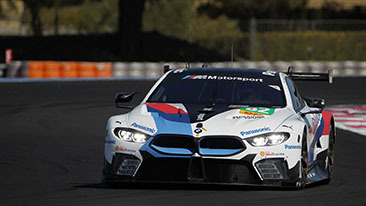 Attendees will be paired with BMW’s professional driving instructors for a dynamic experience that highlights BMW technology and safety features and culminates in a pulse-pounding lap around the track. Teen Driving School: Young drivers are given an introduction to basic driving theory and skills in this BMW Performance Center-derived program. The fully interactive course features both hands-on driving exercises in either a BMW X3 Sports Activity Vehicle or BMW 330i sedan, and classroom education focusing on the consequences of distracted driving. Drivers ages 15-20 with a valid learner’s permit or driver’s license are eligible. Street Drives: 20-minute, self-guided test drives in a full range of BMW vehicles. Acceleration Lane: An exciting, one-of-a-kind demonstration gives consumers the opportunity to test the acceleration of the fully-electric BMW i3s and the all-new BMW M5. M Car Control Clinic: A detailed instruction of advanced driving theory that allows drivers to get behind the wheel of a powerful BMW M3 or M4 for an adrenaline-filled day of driving with individual instruction from BMW-certified professional driving instructors from the BMW Performance Centers. Drivers will develop a sharper understanding of BMW’s responsive handling and performance. The M Car Control Clinic is offered for a fee of $750 per person. For more information and to register for The BMW Ultimate Driving Experience visit: bmwusa.com/ude or call 800-558-4BMW (4269). Location and dates subject to change. 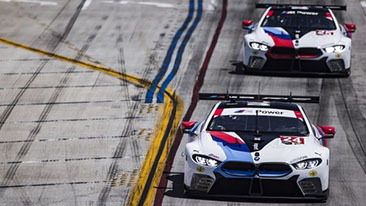 Follow BMW of North America on Instagram @BMWUSA, Twitter @BMWUSA and Like BMWUSA on Facebook.